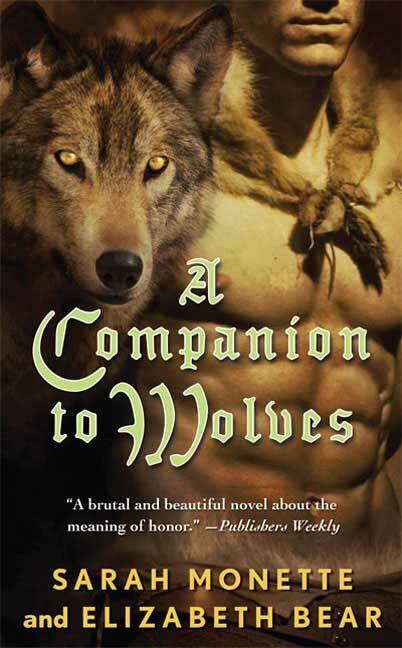 The main book I read during February was A companion to wolves by Sarah Monette and Elizabeth Bear — a fantasy novel published in around 2008 (first of a trilogy). I found it a fascinating book, certainly memorable, in some ways familiar and in other ways not. It’s about a youth (Isolfr) who is tithed to a community of men and wolves, one of several such communities responsible for protecting their people from trolls who live in the frozen north. Each wolf bonds to a man (never a woman, it seems) in a brother-brother or brother-sister relationship, and the novel largely focuses on the relationships that form in this unusual communal living environment. On a broad scale the plot deals with the desperate battle for survival as the various villages and wolf halls (they’re actually named something scandinavian-sounding) are threatened by the trolls moving south. There’s enough action to keep things moving, but at heart the novel is really all about Isolfr’s journey as he gives up his role as heir to his father (a local thane) and bonds with a young female wolf, destined to become queen of her own pack. A key aspect of this novel is that the relationships between the men are largely (although not wholly) determined by the relationships between their wolves. This means that the human brother of the queen wolf (konigenwolf) occupies a high position among the men — as does the brother of the konigenwolf’s chosen mate. What is interesting is that Isolfr, being bound to a young konigenwolf, finds himself literally courted by the human companions of wolves who have aspirations to be the mate of his wolf. 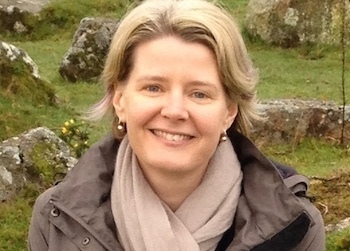 I was initially taken aback that two women would write a book with so few female characters in it, especially set within such a patriarchal society where women are not highly valued; but I actually think they are exploring feminist themes from a unique angle. Isolfr, because of his relationship to his konigenwolf, is essentially manoeuvred into taking on the traditional female role of nurturer within the community. Even though he has been brought up a warrior and is handy enough with his axe, he is sometimes viewed as someone who needs to be protected. It enables the reader to view the whole ‘traditional female role’ paradigm through a different filter — and one that men may particularly respond to. So it’s rather a unique take on the human-animal companion genre, with a beautifully developed weave of complex relationships among all the men and wolves. Yet A companion to wolves is also heavily redolent of the familiar — it’s grounded in Scandinavian history and mythology, and uses many Norse-infused words (to the point it can get a little confusing at times). The setting is drawn in broad brush strokes, just enough to create a vivid backdrop without injecting too much presence, while the troll antagonists are so broadly drawn as to be almost mystical. As a character-driven fantasy, A companion to wolves is exactly the kind of book I seek out, and I enjoyed it a lot. However, I think much of my enjoyment was down to intellectual and critical appreciation of the themes and writing, rather than a deep emotional connection. I’m not entirely sure what was missing for me, because it has all the makings of a book I might adore, but it didn’t quite get me to that point. Nonetheless, I would certainly recommend it to others who enjoy fantasy of this style. For a review from someone who did love it, see Siri Paulson’s post here. The other fantasy novel I finished in February — as an audiobook in the car — was Kushiel’s Chosen by Jacqueline Carey. Now this (along with the entire series) is a book I absolutely adore and love. I will write a post on the first three books when I’ve finished Kushiel’s Avatar, now playing in the car. Suffice to say, for now, that Phedre and Joscelin are among my favourite heroes ever. I also spent a couple of weeks early in the month re-reading several dreadful and daggy books from my youth, rediscovered on kindle. They are not worth naming, and I have no idea why I took it upon myself to relive them, but I confess that one thing I LOVE about ebooks is this ability for out of print books to be republished. Okay, I requested it from the library. I love Sarah Monette’s Melusine, and your take on this one makes it sound like something I’d like. Will let you know what I think. You’re right about the feminist angle. I won’t say anything spoilery here, but to me it got clearer as the book went on. Liv, since you’re already a Monette fan, I’ll be interested to hear your take on this collaboration. Kushiel’s Chosen has been on my TBR list for ages, and it’s a friend’s favourite book, but has somehow never made it to the top. Might have to do something about that! And make sure you start with Kushiel’s Dart, which is the first one. Hope you like them! But I’m on a mission to read more this year, hence my decision to document my reading on a monthly basis to keep myself accountable.